Special Guest App (SGA) was co-founded by actor/comedian Damon Wayans, Jr. & serial entrepreneur Kristopher Jones, and appeared on the first season of Apple’s Hit TV Show Planet of the Apps. The entertainment industry has historically been bloated with too many middlemen. Special Guest wanted to change that by creating a technology platform that would enable venues to easily managing their entertainment needs. Special Guest designed a platform comprised of a mobile iOS app and corresponding web app to manage live entertainment bookings painlessly. The platform addresses critical shortcomings in the traditional model. When it comes to hiring live entertainment, we know efficiency is key. Imagine having more time to manage and market your business without worrying about the tedious logistics of finding, hiring, and paying talent. 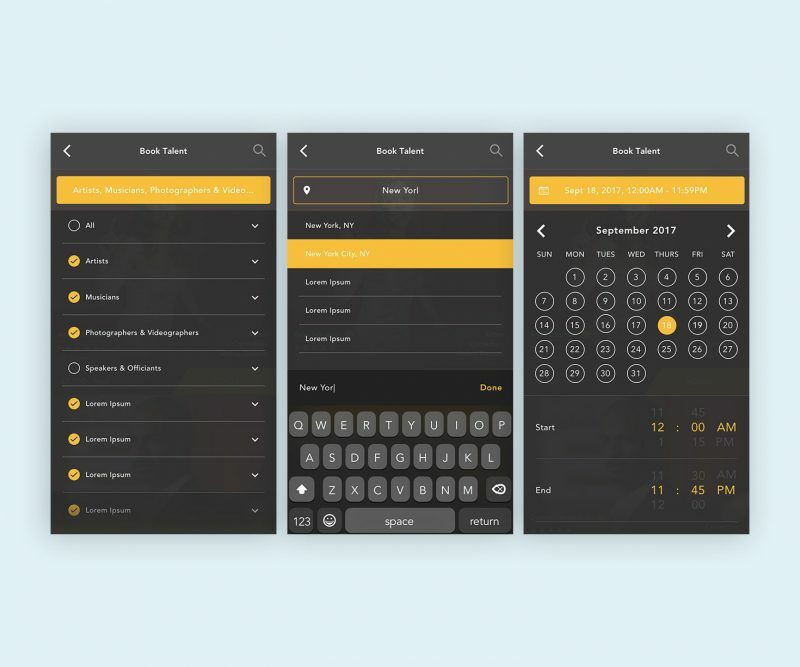 Special Guest App eases the entire booking process, from start to finish. 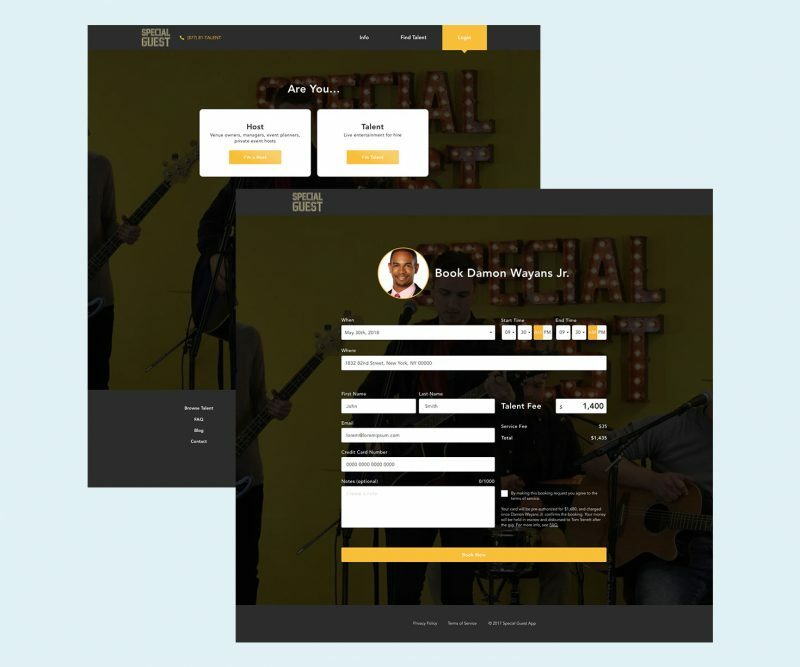 Access your talent and booking schedule within seconds. Check who is performing, for how long, and the terms and compensation of the performance. No more worrying about communication issues, paper checks, or payment mix-ups. 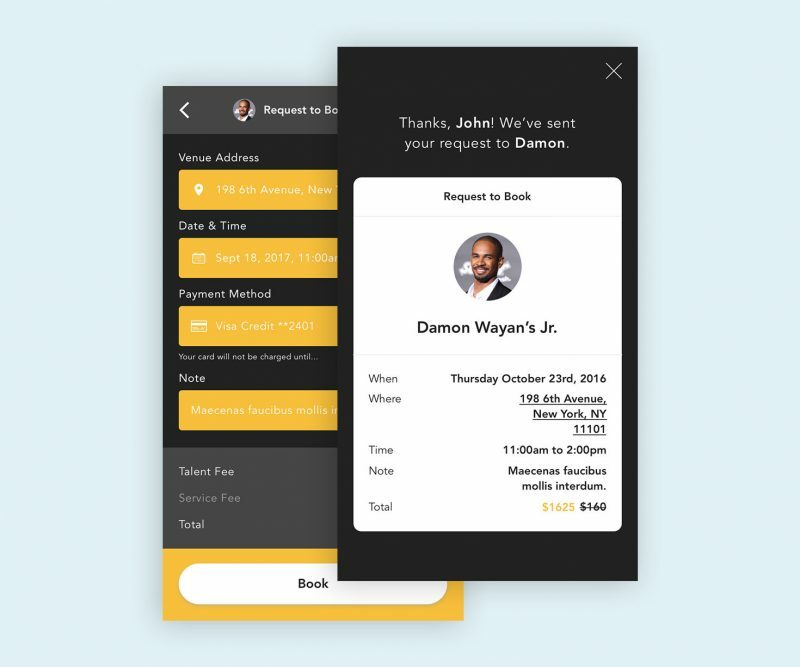 Your live talent will love the hassle-free payment process and ease of booking. Looking for an acoustic duo to play during happy hour, or maybe a house DJ to keep the party going on Friday night? Special Guest App allows you to browse all categories of talent and find exactly what you need. Our experienced Talent Team can help guide you in the right direction, all while working within your monthly entertainment budget. Special Guest App closed $1.5M in venture capital led by Lightspeed Venture Partners and Precursor Ventures with participation from notable celebrity entertainers, including Kevin Hart (Jumanji, Night School, Central Intelligence), Marlon Wayans (Naked, Marlon on NBC), Jake Johnson (New Girl), Damon Wayans, Sr, (In Living Color, Lethal Weapon, Major Payne), and Lamorne Morris (New Girl). Strategic investors/advisors including Jack Chou (Head of Product, Affirm), Jimmy Lim (Head Product Team, Airbnb), and Eric Sherman (Multi-Emmy Award Winner and CEO, Bang Zoom! Studios), among others.